Phosphatidic Acid Guide | A New Way 2 Quickly Gain Muscle? The supplement industry is good for around $37 billion a year and supplement companies are constantly growing and actively searching for new effective products to sell and promote. Today we will be checking out one very promising muscle building supplement called Phosphatidic Acid. There has been a lot of hype surrounding Phosphatic Acid, but what does Phosphatidic Acid have to offer when it comes to muscle growth? 1 What is Phosphatidic Acid? 2 What are the benefits of Phosphatidic Acid? 3 How much Phosphatic Acid do I take? Phosphatidic Acid, also known as PA is a phospholipid. Phospholipids are important molecules that play an important role in cell protection. But even more important, it activates the mammalian target of rapamycin also known as mTOR. Now, you are probably wondering, what does this have to do with gaining muscle? Well, mTOR activation is required to promote muscle gains. The mTOR is known for regulating protein synthesis in skeletal muscle mass. Simply put, Phosphatidic Acid signals the mTOR which will increase muscle protein synthesis. mTOR controls the anabolic and catabolic signalling of skeletal muscle mass, resulting in the modulation of muscle hypertrophy and muscle wastage. You can find Phosphatidic in natural food sources such as cabbage and radish leaves. However, the quantity PA found in those foods are extremely low. To give you an idea, cabbage contains roughly 0.5 milligrams of Phosphatidic Acid per gram. In studies performed with Phosphatidic Acid around 250 to 750 milligrams of PA was administered. The only way to consume enough PA would be through supplements. Phosphatidic acid supplements usually have a few hundred grams per capsule, for example, Enhanced Athlete’s MTOR-RX has 400mg of PA per capsule. What are the benefits of Phosphatidic Acid? This is where things get interesting, you obviously want to know if Phosphatidic Acid can help you gain extra muscle mass. Well, there have been 5 research studies performed with PA and they are quite promising if you ask me. It is worth mentioning that the results of each study pretty different let’s take a look. When we take a look at the first study done on Phosphatidic Acid, 16 resistance-trained males randomly consumed either placebo or 750 milligrams of PA. During the 8 weeks of the study, the test subjects all participated in physical exercise. During each training session, subjects checked to see if strength increased. This was done by having every subject perform one repetition maximums on either the squat or bench press. Lean body mass and muscle thickness were also closely monitored each and every week. The results of this particular study are pretty amazing, the subjects that took 750mg of a Phosphatidic Acid Supplement per day had a 12.7% increase in squat strength as well as a whopping 2.6% increase in Lean Body Mass. The placebo group has a 9.3% increase in strength combined with a 0.1% change in LBM. In another study done with Phosphatidic Acid, the results were a bit different. Subjects were given either placebo or 250mg and 375mg of Phosphatidic Acid for 8 weeks. The results, however, showed that the participants did not gain any significant amount of strength and size. It is kind of confusing when you look at both studies performed. The first study obviously uses a much higher dose than the other one. What we do know is that PA is safe to use in doses upwards of 750mg. When you compare PA to other available supplements, I think it is definitely worth trying to see if it works. Combine this stuff with a good diet and workout program and you will surely be making great gains. Here is what a famous bodybuilding coach had to say about Phosphatic Acid. You have to take into consideration we are talking about a natural and legal dietary supplement here. In my opinion, Phosphatidic Acid is a very interesting compound that has a lot to offer. Whether you are already enhanced or natural, Phosphatic Acid definitely has its place in bodybuilding. How much Phosphatic Acid do I take? If you are interested in trying out PA, I would suggest going with a dosage of 750mg per day. As shown in the pilot study the higher dosage of 750mg yielded more results than when taking 250 or 375mg a day. It is suggested that you take roughly half the dosage 30 minutes before working out followed by the rest of the dosage after your workout. If you don’t feel comfortable starting off with 750mg, you can always try using a lower dosage. Make sure to build the dose up gradually. As you might already know a Phosphatidic Acid Supplement is quite unique and not a lot of supplement companies are carrying it. 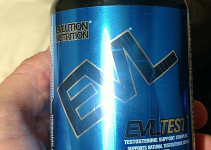 This stuff can be used by natural athletes, tested athletes and even people who are currently using PEDs. It is a great natural product to add to your daily stack, a lot of people who have taken the Phosphatidic Acid Supplement seem to swear by it. 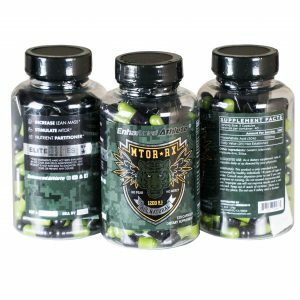 Enhanced Athlete just came out with their own Phosphatidic Acid Supplement called MTOR-RX. As you guys might already know I am a huge fan of EA, they always come out with new and exciting stuff. They even have a DMHA Pre workout, make sure to check that out as well. MTOR-RX Contains roughly 1200mg of PA per 3 capsules. This means that you will be getting more than enough PA to get the full muscle building effects. In my opinion, it’s one of the best legal anabolic supplements available on the market. 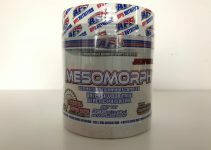 You can simply purchase MTOR-RX off the Enhanced Athlete website. MTOR-RX is very popular and is being sold out very quickly, so make sure to stock up while you can. I have baught a phosphatidic acid supplement very excited to try this! !